« Kisangani, Can It Bring Law to Out-Law Lomami? 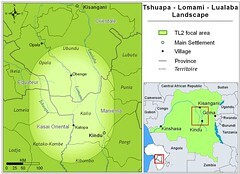 There are not many diamond miners up the Lomami. But is that because there are not many diamonds? Or is it only because prospection is just getting started? There are some disturbing signs. The gems are not small. At least they don’t seem to me to be small. This photo of two diamonds “in hand” is what they showed us at the camp on the Lokomue, a tributary of the Lomami just north of Obenge. We were surprised to see miners there. We thought we had seen the last of the miners 300 km and four days earlier. We thought the diamond “sluicers” on the Lutanga River just south of Opala were the last we would see. But not so. 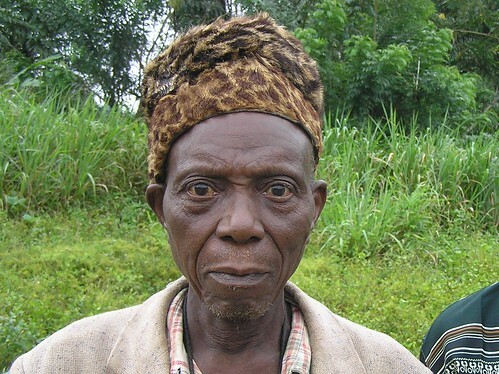 There was a Congolese “prospector” looking for diamonds in the village of Lisala, not far north from Katopa. He said that he had not found much but there was every reason (like I might have been a competitor) that he would not tell me the truth. 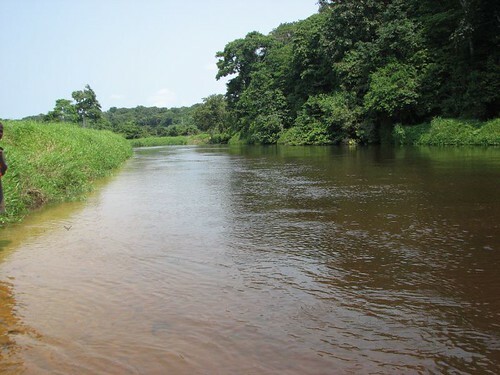 The chief of the village of Lisala told me privately “there are lots of diamonds in our river” , and he waved his hand in the direction of a tributary of the Lomami. “We are just waiting for you people to come and take them”. This is the upper Tshuapa, the farthest south west that we got. There was one small diamond camp here as well. This is what is disturbing in all of this. 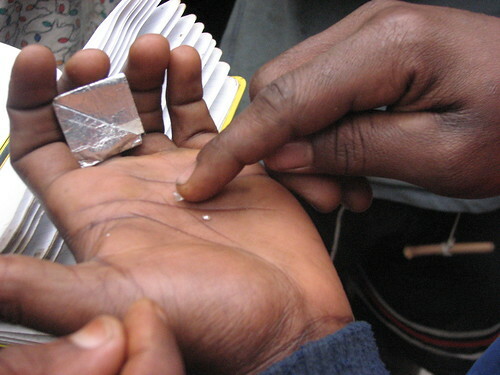 If there are really diamonds, soon there will be lots of artisanal miners. Just like Terese saw north of Kisangani. 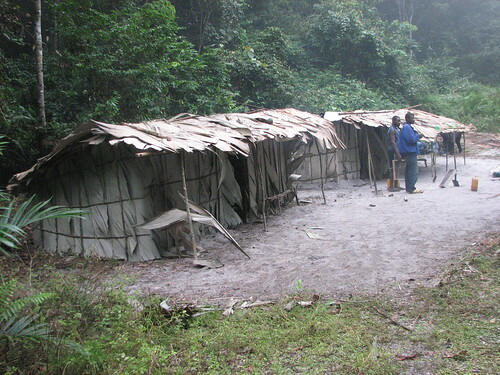 And remote diamond camps live off of bushmeat. 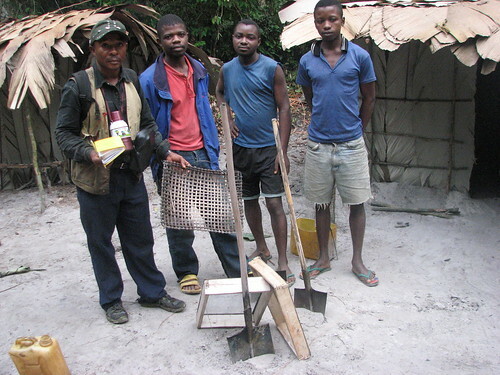 For now the Lomami forests are still rich with animals, but diamond camps would turn them silent and still. This entry was written by Terese Hart, posted on 2007-09-09 at 6:06 pm, filed under Diamonds, gold and guns. Bookmark the permalink. Follow any comments here with the RSS feed for this post. Post a comment or leave a trackback: Trackback URL. I just discover this most interesting blog, thanks to a hint from Teresa. Excellent work and very exciting indeed. I am just wondering whether you guys are also trying to keep records of birds. There may be also significant discoveries to be made in that respect as well. Any records of Congo Peacock so far ? good questions. John joins the teams in the TL2 at the end of October and then we will have a first ornithologist. It would be great to have a second!